This article is more than 4 years old. Please read this page keeping its age in mind. 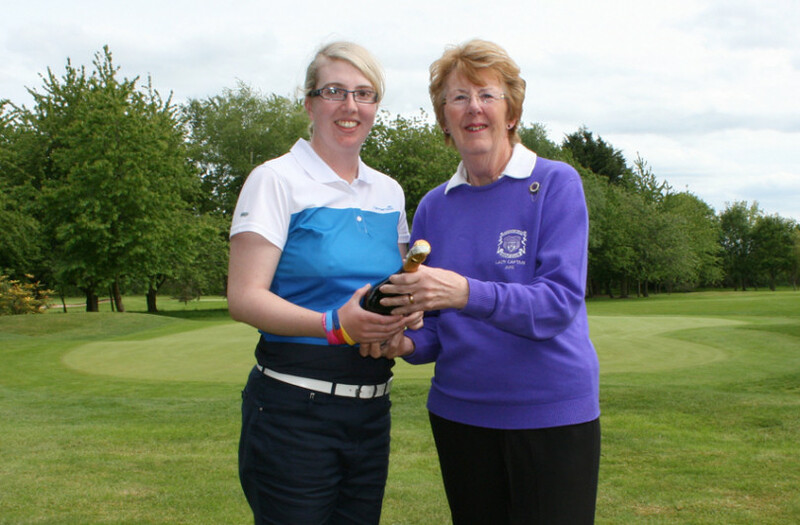 In a round featuring 7 birdies she shot 71 gross, two below par and five below the standard scratch for the day of 76. Katrina who plays off 1 handicap has aspirations to be a professional golfer and play on the Ladies European Tour. Nineteen year old Katrina Gillum from Newport has broken Shrewsbury Golf Club’s ladies’ course record in a blistering first round of the Shropshire Ladies’ County Golf Championships. Katrina shot a round of 71 that featured seven birdies on the third, sixth, seventh, eighth, thirteenth, sixteenth and seventeenth holes. Two below par, she began her challenge for the championship five under the standard scratch for the day of 76. Katrina plays at Lilleshall Hall Golf Club where she has aspirations of becoming a professional golfer and playing on the Ladies European Tour. She began playing golf nine years ago with her father and brother. Katrina’s golfing talent soon became clear as she rapidly began playing to single figures. She has a current handicap of 1 and is working with John Bandurak, Club Professional at Lilleshall Hall Golf Club, to hone her skills before looking to qualify as a tour professional in the next few years.